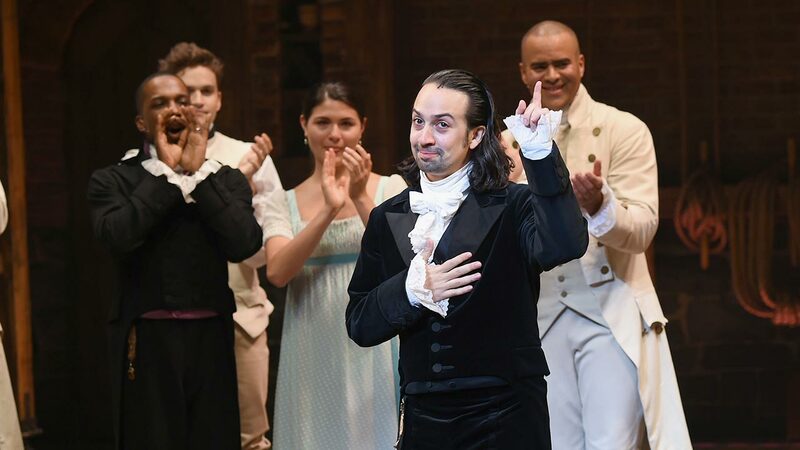 NEW YORK -- The star and creator of the Broadway smash "Hamilton" Lin-Manuel Miranda ended his run as founding father Alexander Hamilton Saturday night. The hip-hop musical about the first treasury secretary has become a hit with audiences since opening last summer. "Hamilton" won 11 awards at this year's Tony Awards, a Pulitzer Prize and a Grammy. John Kerry, Jennifer Lopez, Spike Lee, and Rosie O'Donnell attended Saturday night's performance. The final curtain call was livestreamed on Facebook.